Previously, superstar-in-the-making TeaMarrr blessed us with “One Job”—her empowering ode to the breaking point that far too many women are acquainted with. But in capitalizing off its buzz since its debut, she returns with a new video. 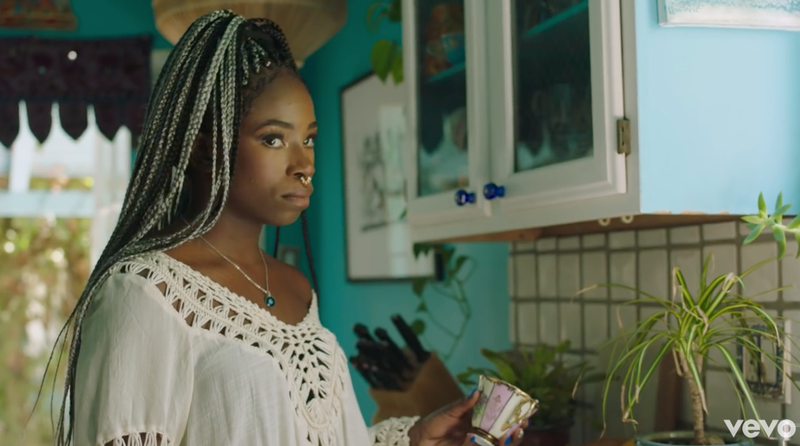 Social media starlet turned actress LaLa Milan and HBO Insecure’s Jean Elie join in on the visual feast that includes vibrant hues and an endless profusion of Black Girl Magic. “I was first introduced to TeaMarrr through her manager/writing-partner Kareem James when I was looking for music for the first season of Giants. He sent me a free tracks (that I instantly fell in love with). The moment I heard Tea’s voice, I knew she was a star. I was completely enthralled by not only her rich melodic tone, but her overall level of artistry. She’s an artist to her core and the type of creative that inspires new levels of creativity from every person who has the honor of working with her. I originally wanted “One Job” to be in season two of Giants, but the timing of the song’s release didn’t align with our season premiere. However, Kareem knew I was a huge fan of the track and thus asked me to direct the music video. Keep an eye out for TeaMarrr’s upcoming debut album, Tea Turns to Wine, courtesy of Position Music.